R. W. Motors is founded on trust, integrity, and respect. We are proud to offer these values in our sales and business practices so our customers keep coming back. Call for your FREE financing quote today! Get an auto loan fast and easy Here at R. W. Motors, we want you to have a nice car, because you deserve it. 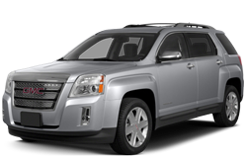 Our loan process is simple and we find the best pre-owned vehicles for you to choose. 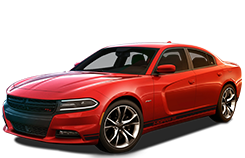 Take a moment and look at all the vehicles, and when you are ready, find the "Get Pre-approved" button anywhere on the site. It is fast, simple and painless. Just got a car from this company. The whole process was painless. They did everything the could to help me and my boyfriend get the car we wanted. If you looking for a good clean car check out R.W. Motors and tell them April Like and Jeffery Kromer sent you. Les is the best Sells Person that anybody can ever ask for! He will go out his way just so you can ride!!! Thanks to RW Motors! You Guys Are The best!!! I have purchased two cars from R.W. Motors within the past two years and highly recommend them. The entire team has been very professional and willing to go the extra mile to ensure I have been satisfied with my vehicle purchases. Whatever your car needs might be definitely look at R.W. Motors for reliability, selection and superior customer service with a hometown feel! I purchased a 2013 Kia Optima and I love it...Thanks Mr Burkhead ur such a comical and wonderful person! Loving the new Envoy that Joe got me into. Super friendly and got into my new ride the same day. 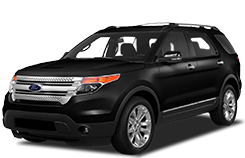 This is the second vehicle that I have purchased from them and I am truly satisfied with their services. Great customer service! Car is exactly as described! Highly recommended! Excellent customer service! Employees are very knowledgeable and helpful! Les was very professional and useful! Thank you very much on nice advice! What a great experience! Great people, great cars! Highly recommend! Excellent experience! Les is very friendly and kindness! They have very quality cars! I bought my car today here where i met Les. He is very knowledgeable and very professional. He provided me some good informations i need. Thank you! Great customer service!! I had both of my company trailers inspected at they're inspection station. Prompt and courteous! Recommend to all ! Fantastic experience here in R.W. Motors with Les and other crew. I am very satisfied with car i bought! I recommend them! They have very quality cars, it was hard to choose but i made decision and i am very happy! Thank you! Phenomenal customer service here! All proces was interesting and my husband and me are very satisfied with quality and look of our car! Highly recommended to all our friends! Employees here are very polite and helpful! Thanks on everything, i am recommending you guys to all my friends and family. The best experience one man can have! I am very pleased with service and their kindness! They have nice cars and best prices! Highly recommended! Awesome experience with Les. Thank you very much and nice to meet you! I will come again when i want to change car but it wont be soon for sure! I like this one very much! Peace! I had great deal with Les, great price! Very helpful person and friendly! I will recommend to everyone! My daughter brought car from this company. We returned it back for service, and they were excellent! If you need a nice car,we definitely recommend you to contact R.W. Motors. Please ask for Joe Burkhead (sales). Amazing service! Les is awesome! He has very nice cars here and because of that i couldnt decide alone what is best for me. I am very grateful Les on good advices! Honesty and Integrity is what you expect from a car dealer, and that is what you get with R.W. Motors. I have had my Ford F150 for over three years and have had zero problems. If you want complete courteous service before the sale, during the sale, and after the sale; see my friend Les Walston at R.W. Motors, you will not be disappointed. Fast, friendly service. process was very easy. car still has the new car smell. extremely low milage. no hassel. we were extremly satisfied. 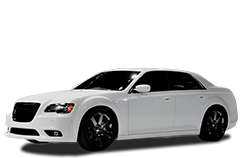 If you want a good car buying experiance, and a reliable car. i encourage you to go here. We purchased a vehicle from here two years ago. never had any problems with the vehicle. we decide to come back and made another purchase a week ago.you guys are great! keep up the good work!!! My wife and I bought a car from there , and the whole process was great. We haven't had any trouble with our car , and we love it. One thing to remember though is that we are choosing to purchase a previously owned vechicle. We will never know the whole history of the vechicle being bought even with the technology of trying to find out the whole history. What matters is that if a problem arises ; the service after works for you. I have personally witnessed rw motors to go out of their way to make it right. Thank you RW Motors. I just bought a 2008 Chevy Equinox and love it !!!!! Recommend visiting RW Motors if your in need of a car . They are very nice ,friendly and they do everything they can to help you get the car you want !!!!! Really a pleasure to do business with Thank you all so very much !!!!! !